Sarajevo, for me, always represented one of these places that, due to relative geographical proximity, I was bound to visit sooner or later (but somehow never did). The chance to be introduced to the ”Jerusalem of Europe”, as it is sometimes nicknamed, finally appeared at the beginning of May. 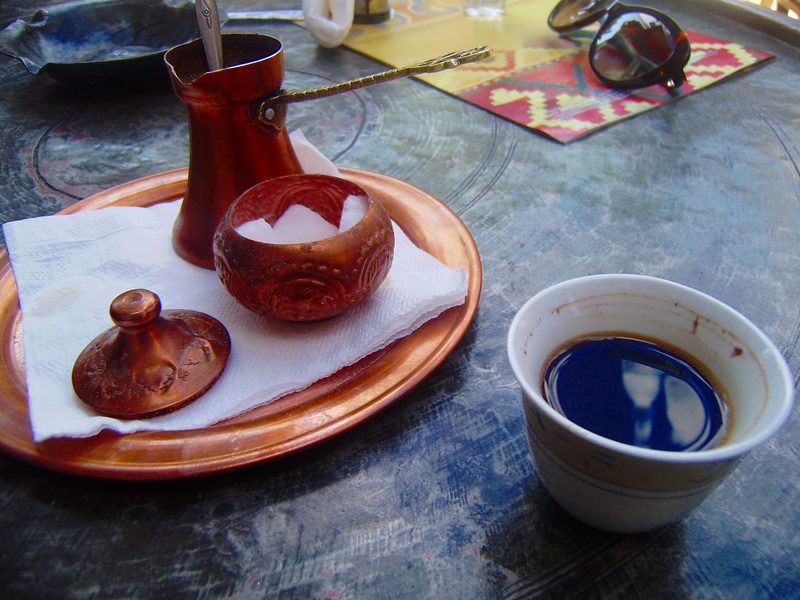 I attended a congress in the city, and since everyone I knew kept repeating how special Sarajevo was, my Significant Other and I decided to add a few days to our visit and see what the fuss was all about. 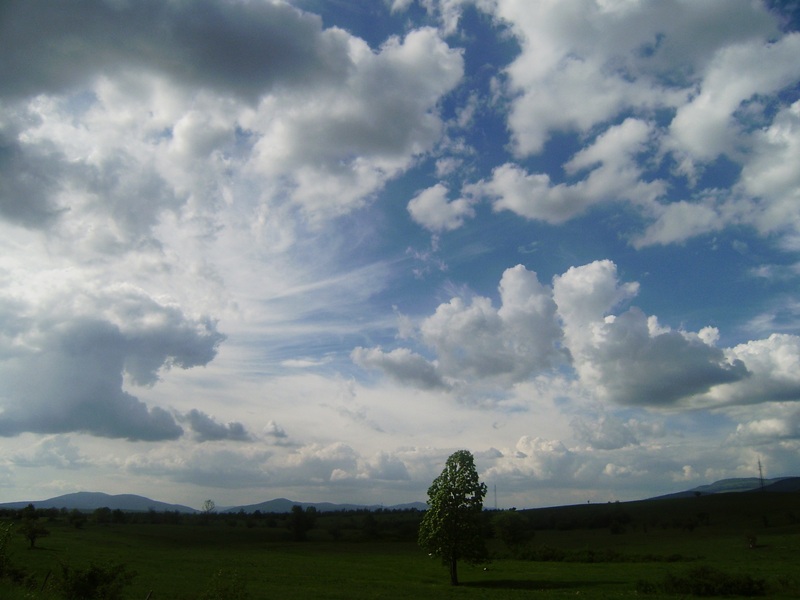 We drove to Sarajevo by car, in what was quite an adventurous eight-hour ride. First impressions were quite positive: Bosnia is big, green and hilly, and when the weather is warm and the sun is shining the country looks quite magnificent. Preparing for our trip, I expected Sarajevo to look and feel very similar to Croatian towns. 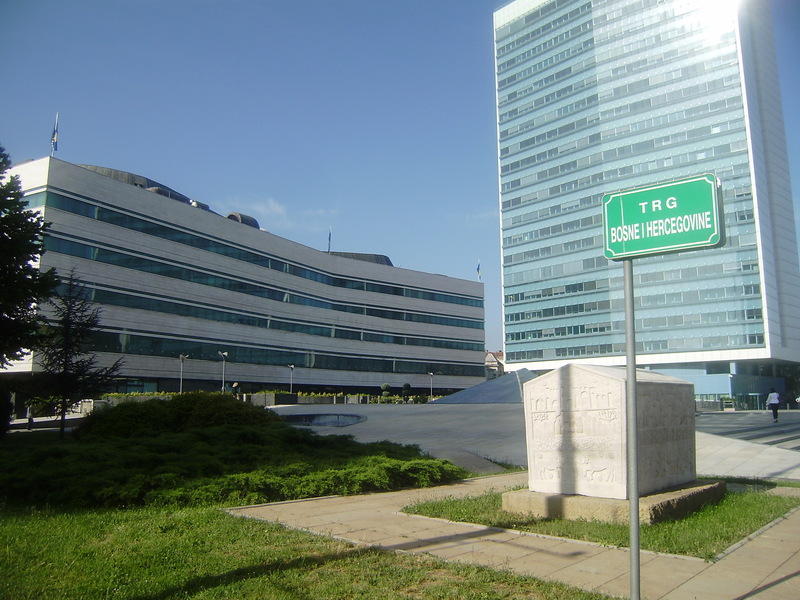 After all, Croatia and Bosnia are bordering countries (in fact, Croatia’s longest land border is with Bosnia), and the two countries were until the 1990s both part of the same federation (Yugoslavia). 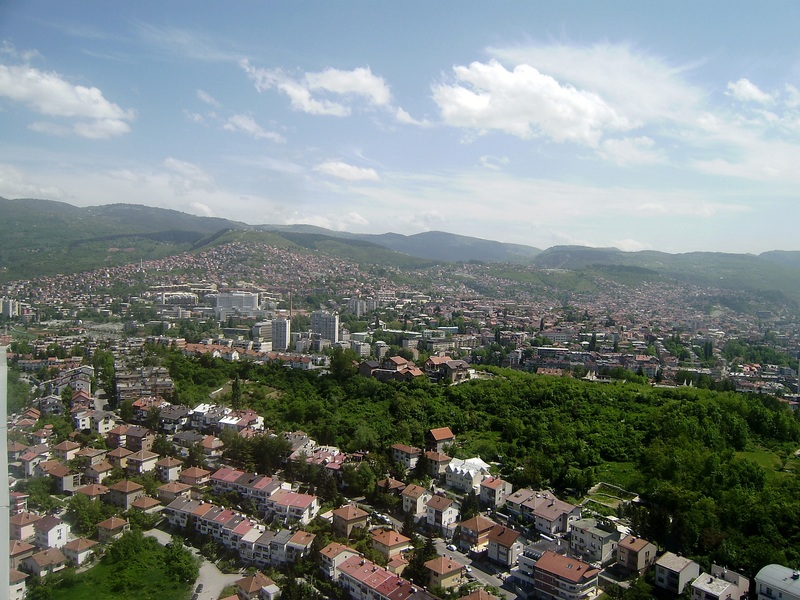 I also expected the city to still be deeply scarred by the war: in the period between 1992 and 1995, Bosnia was attacked and Sarajevo was under siege for a total of 11,825 days. It was the longest siege of a capital city in the history of modern warfare, during which 11,541 people lost their lives. Luckily, my fears were unfounded, and the fact that I was wrong to expect a depressing and negative Sarajevo says a lot about the city, the country and the people. 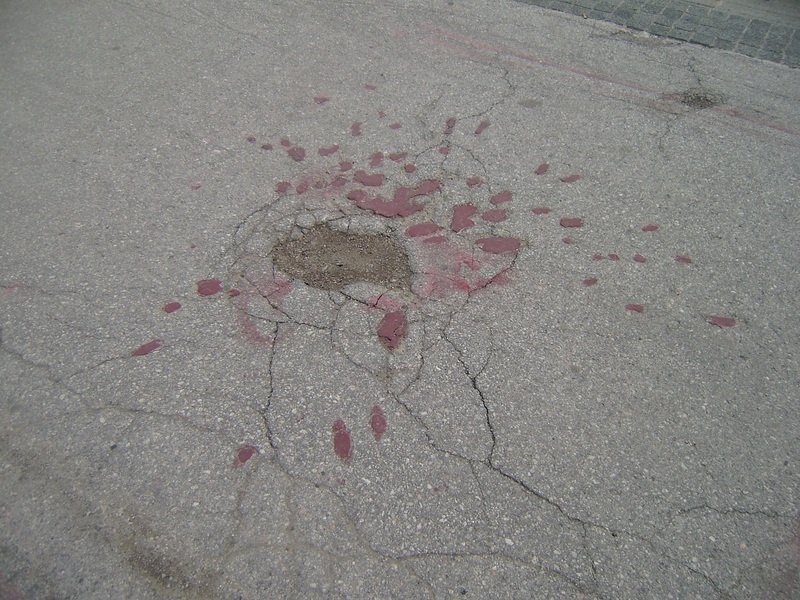 There are many remainders of the war: monuments dedicated to war victims, ”Sarajevo Roses” (concrete scars caused by a mortar explosion that were later filled with red resin to mark where explosions resulted in one or more deaths; these marks are called ”roses” because the explosions created unique patterns on concrete that look almost floral in arrangements), destroyed facades, a great number of graveyards imbedded into the network of streets. The sights make you shudder. However, life in Sarajevo goes on. People accepted what happened and what was lost, but have learned to live with it. They don’t hold grudges. They are unbelievably positive and kind and their hospitality is unlike anything I have experienced in my life. 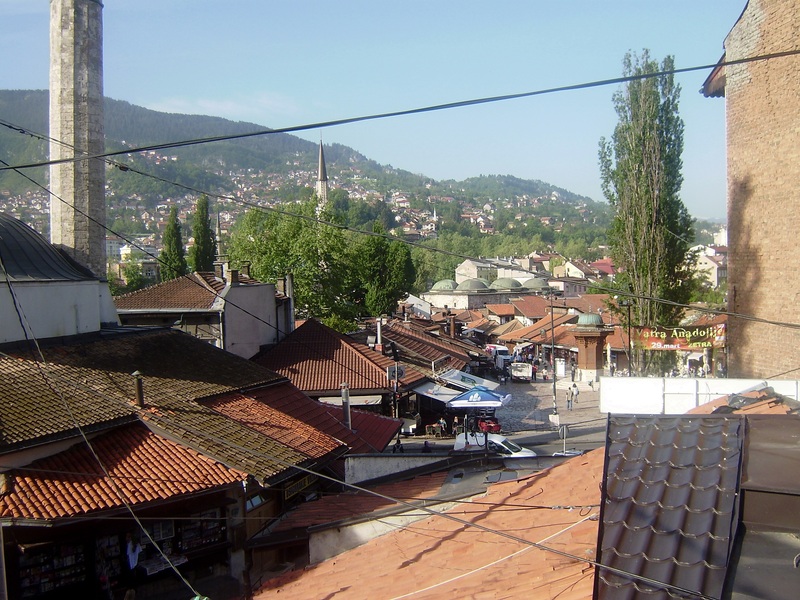 Bašćaršija is Sarajevo’s most popular area. The old bazaar and the historical and cultural centre of the city were built in the 15th century. 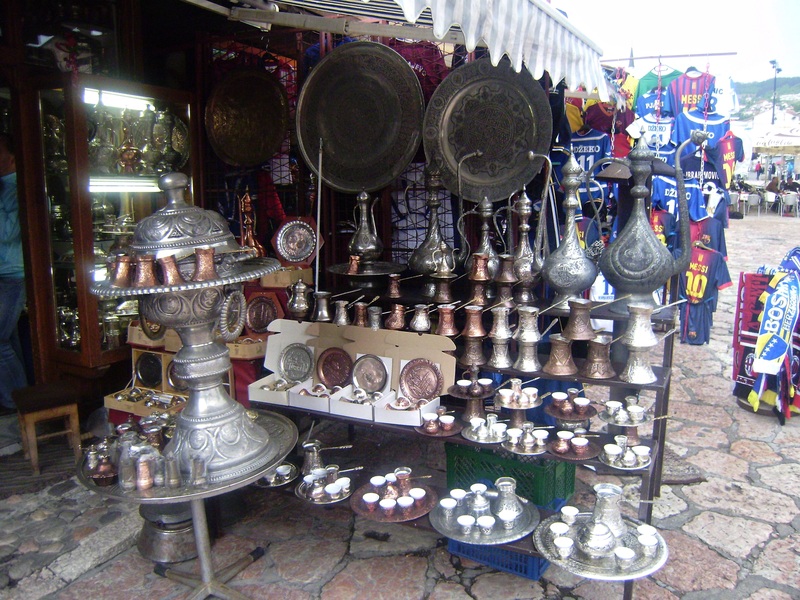 Walking around its charming streets, you can see fascinating historic buildings, fountains (Sebilj is the most famous one), shops and stalls selling traditional pots and dishes made of copper, colorful scarves, souvenirs made of wood. Bašćaršija is crowded, noisy, filled with people and infinitely interesting. You could spend the entire day walking down the streets, people watching, exploring small shops and marveling the Ottoman architecture. 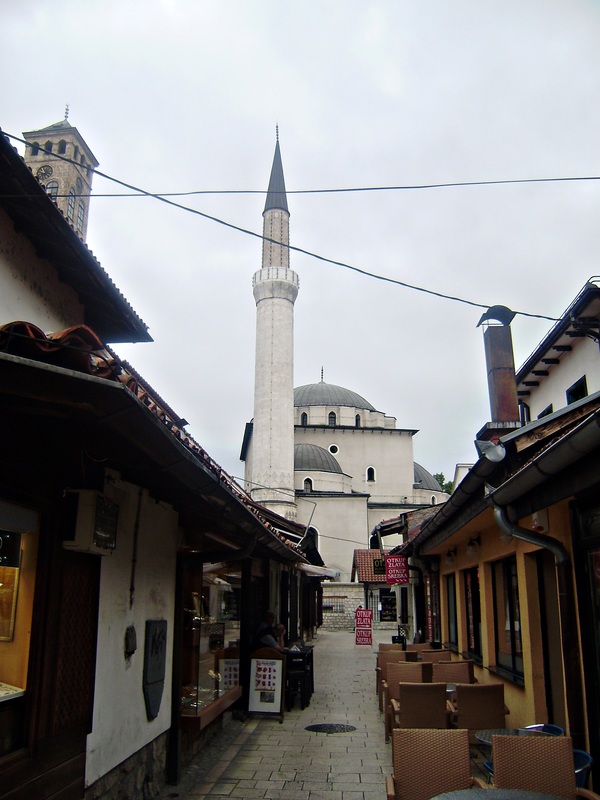 One of the most beautiful buildings in Sarajevo is the Gazi Husrev-bey Mosque. It is considered the most important Islamic structure in the country and one of the world’s finest examples of Ottoman architecture. 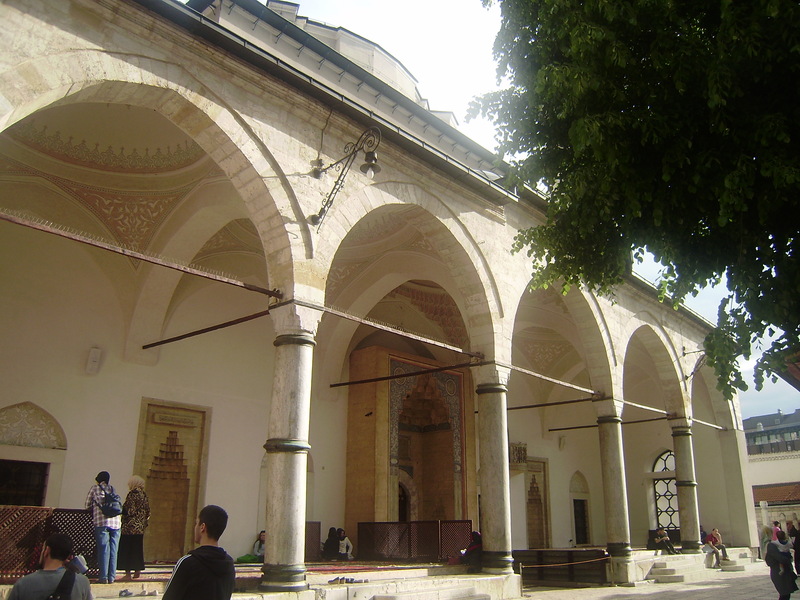 Apart from the mosque, the religious complex consists of the madrassa, a library, a fountain and türbe mausoleums. 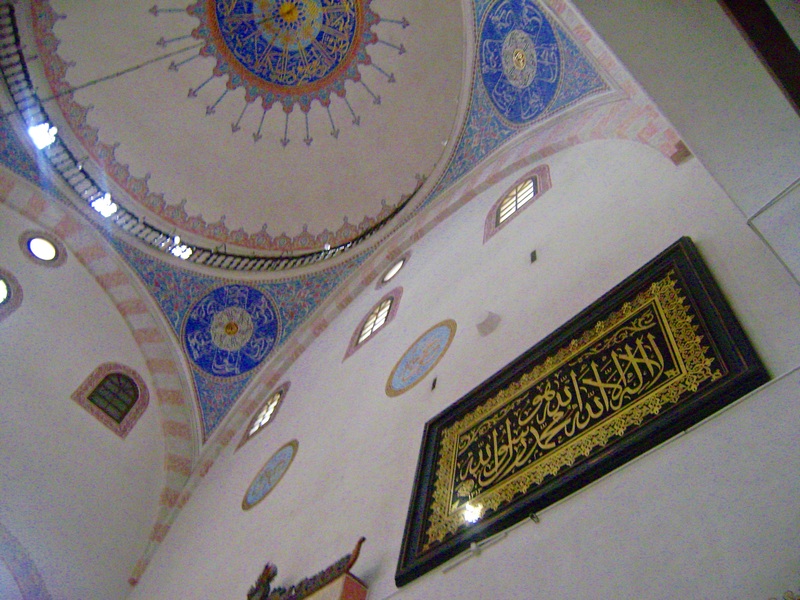 The interior of the mosque is a world for itself: simple, quiet and peaceful, a place for praying and contemplation. Walking away from Bašćaršija, the town becomes more western-like, with cafes, pastry shops, gelaterias, pubs and shopping malls that can be seen all around Europe – if you drift too far from the historic centre, you could easily forget that you are in Sarajevo. More familiar architecture, Habsburg town palaces, contemporary buildings covered with glass. 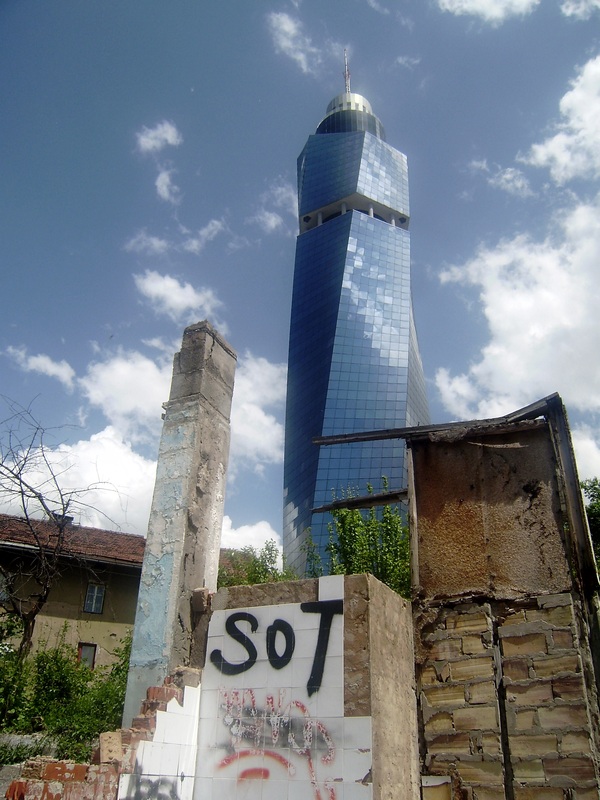 One of such ultra-modern buildings is the recently built Avaz Twist Tower, a 176 m tall skyscraper. At the top of the tower, there is a public viewpoint from which you can see how big the city really is. 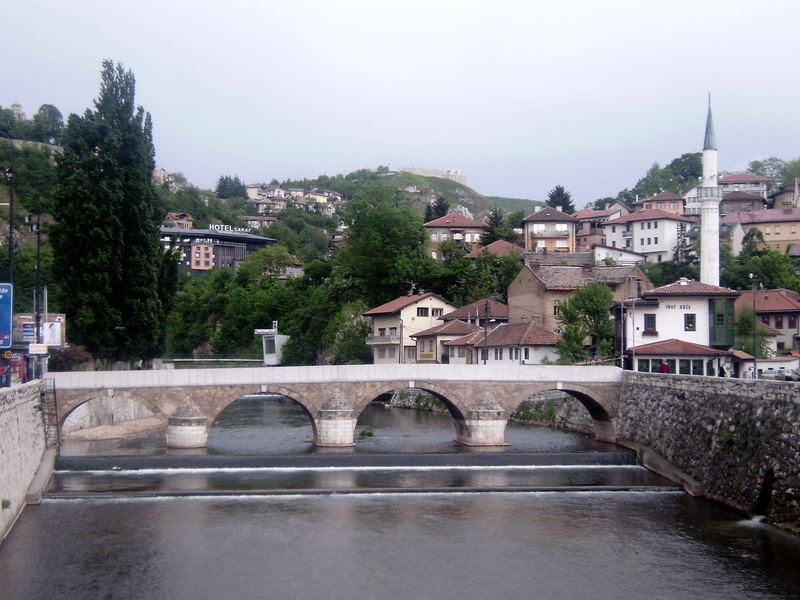 River Miljacka flows through Sarajevo, spanned by many bridges, some of which are of great historical importance not only for the city or country, but for the entire world: the Latin Bridge (formerly Princip Bridge), which was the site of assassination of Archduke Franz Ferdinand of Austria by Gavrilo Princip. The event was the immediate cause for the beginning of the First World War. 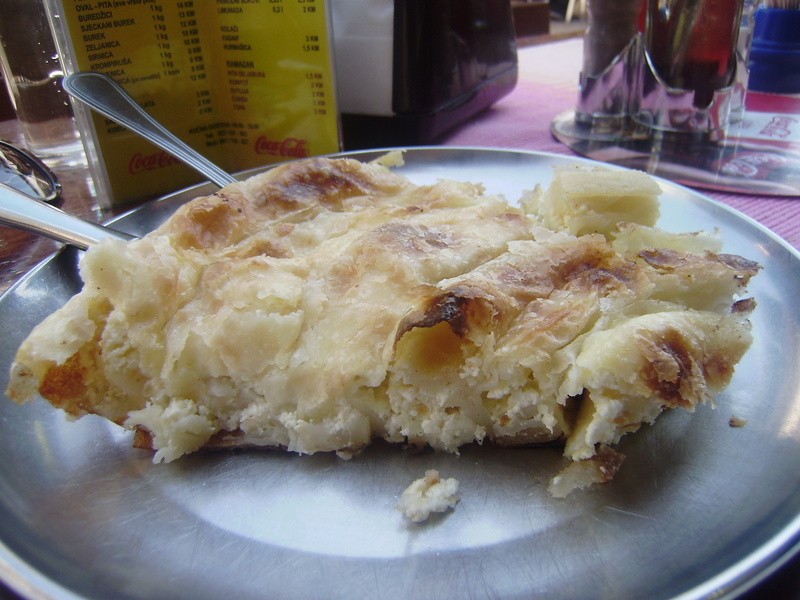 Food is a very important element of the Sarajevo experience. 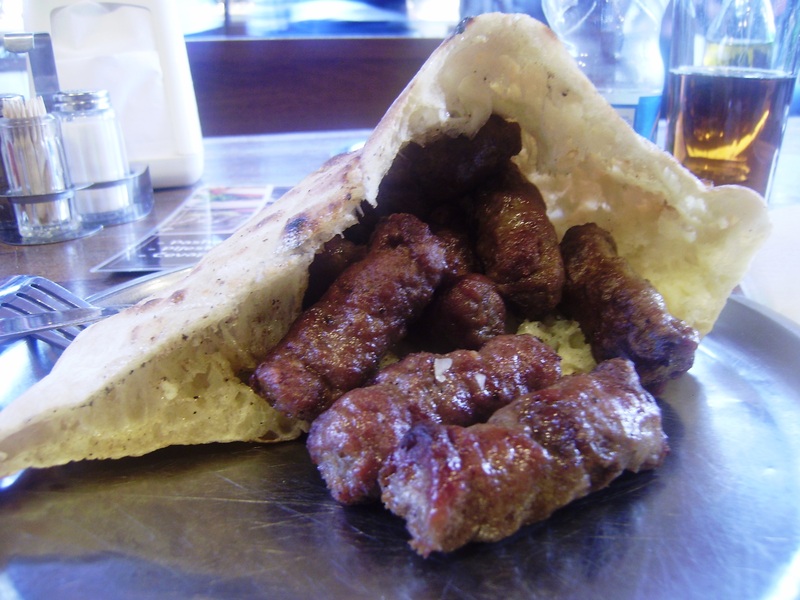 This is affirmed by different sights and smells appearing from traditional Bosnian restaurants, ćevapdžinice (eateries selling ćevapćići, traditional Bosnian grilled dish of minced meat, usually eaten in flatbread, lepinja or somun, and often accompanied by chopped onions and sour cream), buregdžinice (eateries selling meat, cheese and vegetable pies, bureks), coffee houses (coffee in Bosnia is traditionally made by tucanje, a special way of grinding coffee by hand) and places selling traditional cakes and sweets, heavily influenced by Turkish cuisine – baklave, hurmašice, halve, rahat lokume, etc. 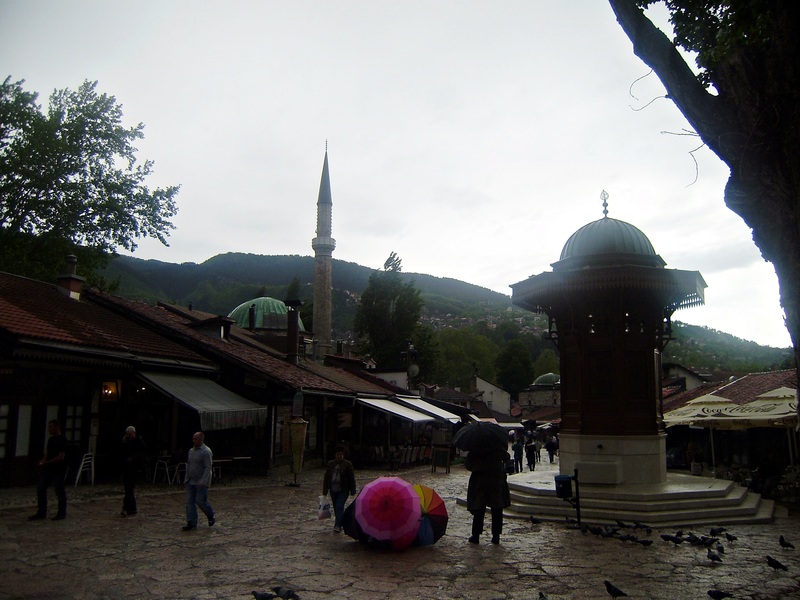 We left Sarajevo filled with impressions, confident that we will come back one day. To a city where east and west meet, where different cultures and religions live side by side, a city that, while partially steeped in the past is rapidly moving forward. A brave city. And also, a city that can be proud of its people, kind, friendly, acting toward strangers as if they’ve known them their entire life, wanting to make you feel at home. Regardless of its valuable historical and cultural heritage, it is the people that are the city’s greatest wealth. 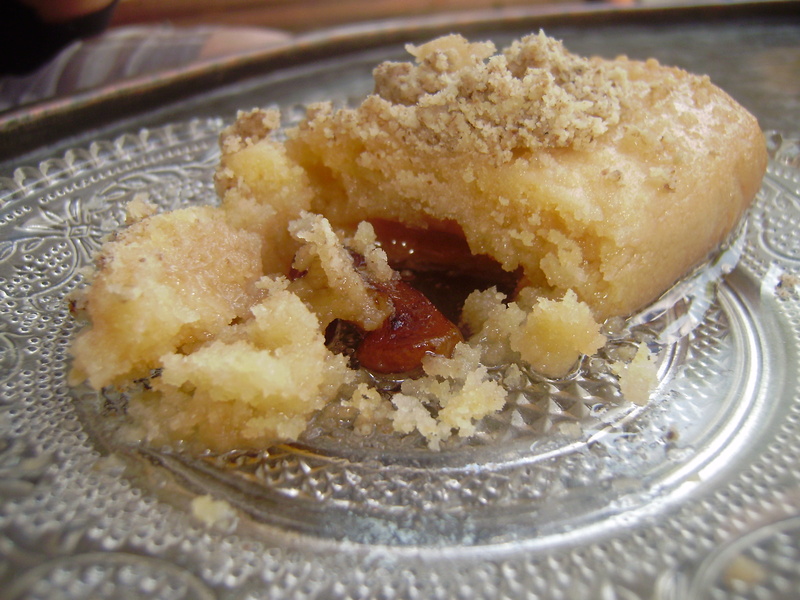 Reblogged this on Nelandir's Independent Trading Co..